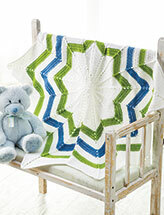 » Browse all new Crochet e-patterns. Crochet Patterns for Baby, Home, Clothing & More! Crocheting is a fun and addictive hobby. There's nothing like taking a beautiful skein of yarn and turning it into a soft crochet baby blanket or a stylish scarf. If you're looking for online crochet patterns, you've come to the right place. E-PatternsCentral.com has downloadable designs for all kinds of crochet projects. 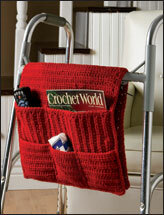 Crocheted items can make a house a home. You will find lots of crochet patterns for afghans to keep you warm, projects to make your holiday special, table toppers to brighten up your kitchen and more. 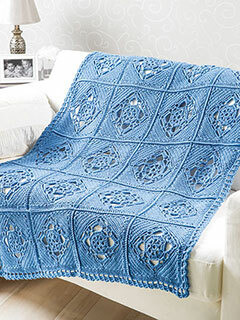 Crochet projects also make excellent handmade wedding or house-warming gifts. Stuck on a project or new to crocheting? Check out Annie's stitch guide. You will find crochet lessons that include written instructions, diagrams and videos to help you learn how to crochet. You'll be an expert in no time! Whatever type of crochet pattern you're looking for, e-PatternsCentral.com has all the downloads you need. 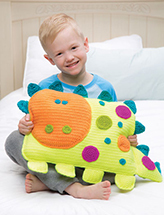 Take a look around -- you'll find a crochet pattern to inspire you!